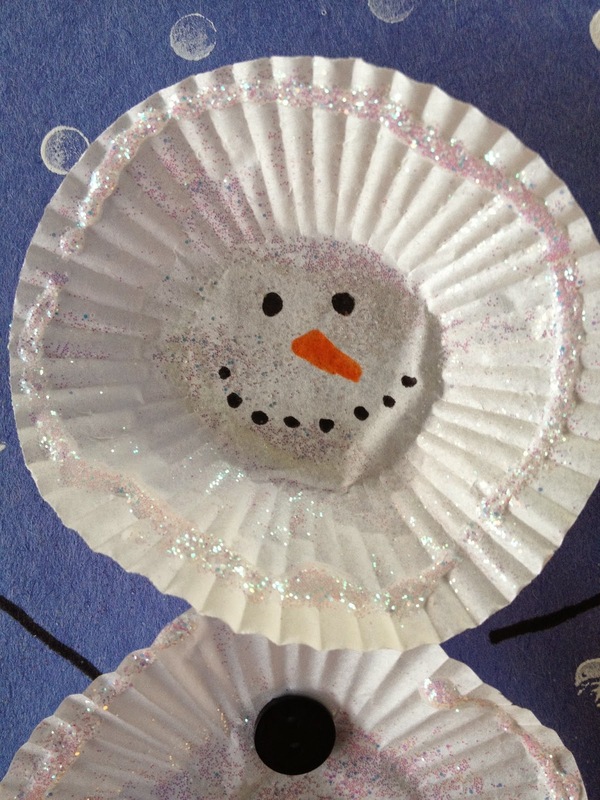 This Snowman Craft for kids is easy to make. All you need is mini cupcake liners, construction paper, markers, glue, a smudge of paint and glitter (Oh, and a few small buttons). 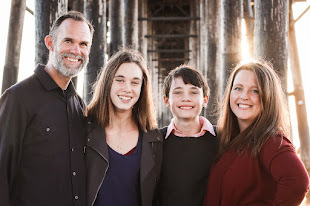 Start with a piece of blue construction paper. 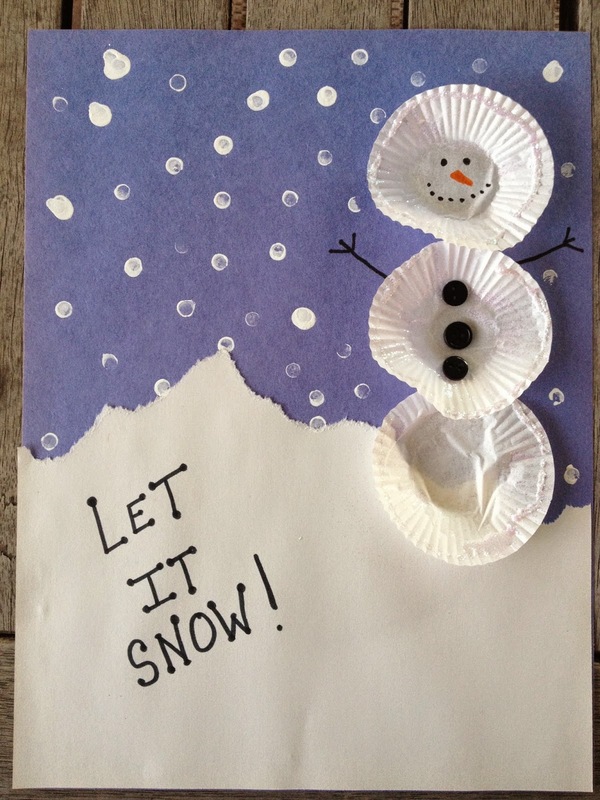 Tear a piece of white construction paper in half to create the snowy landscape. Glue it to the piece of blue construction paper. Flatten out 3 mini cupcake liners. Glue them top to bottom onto the construction paper. With a black marker draw eyes and mouth. With an orange marker, draw the nose. 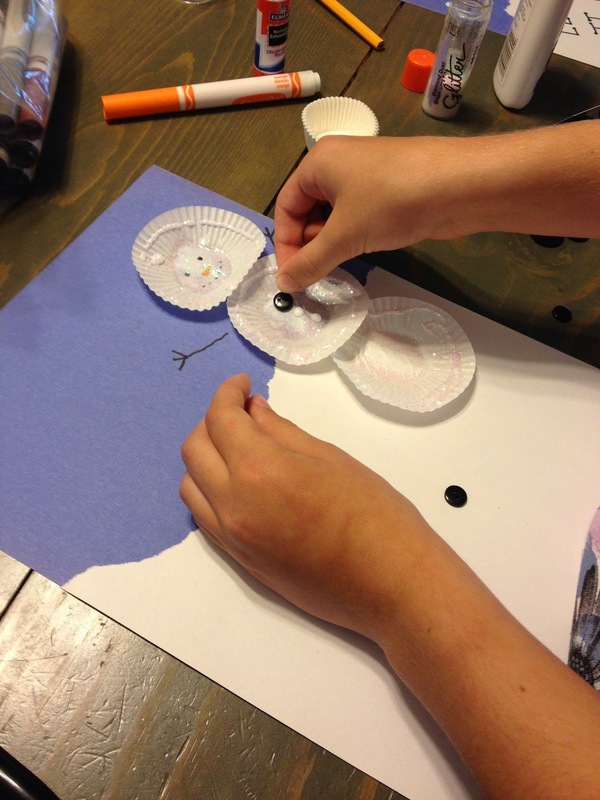 With the black marker, draw arms out from the middle cupcake liner. Glue three small buttons to the middle cupcake liner. Optional Using the eraser top of a pencil, dab in white paint and stamp white snow dots all over the blue part of the paper. 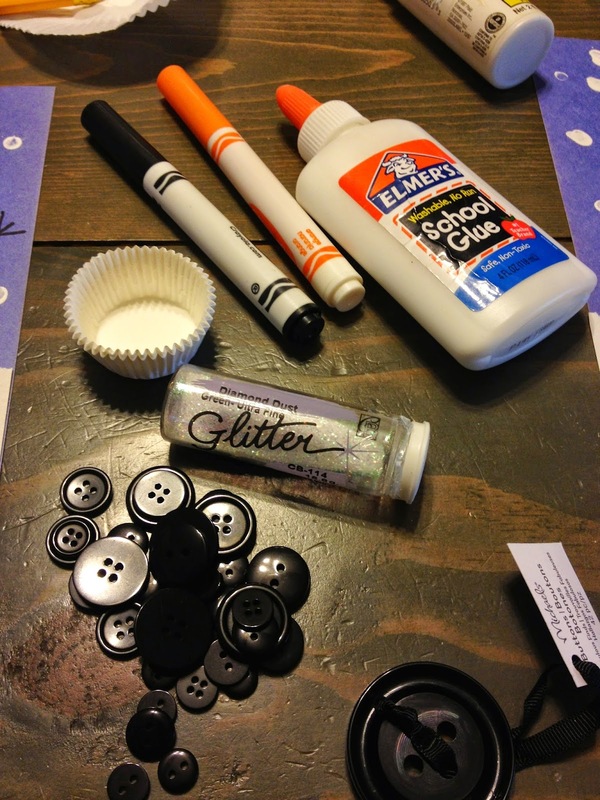 Add glue around the rims of the mini cupcake liners and sprinkle with translucent or fine white glitter. There you have it! 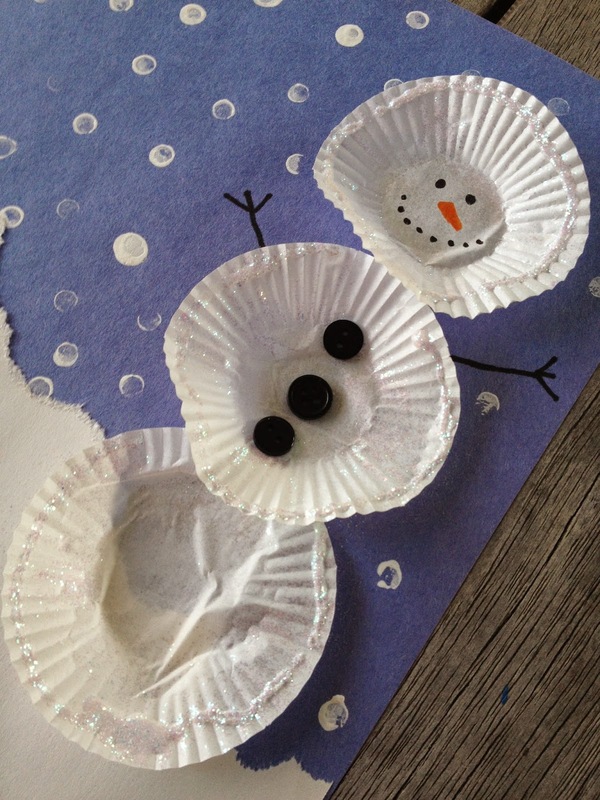 A cute cupcake liner snowman craft for kids to make.